Here’s a brief history of some of the greatest legends. 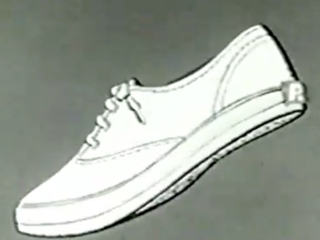 Early reports of “Magic Shoes” began way back in the 1950s, when a young company began pitching the idea that their shoes could actually enhance jumping and running ability. These are th e early days of marketing; “Mad Men” times. So long ago that idea’s and marketing messages could ONLY be promoted through print advertisements. In these days all sorts of claims could be made with little challenge or legal action. 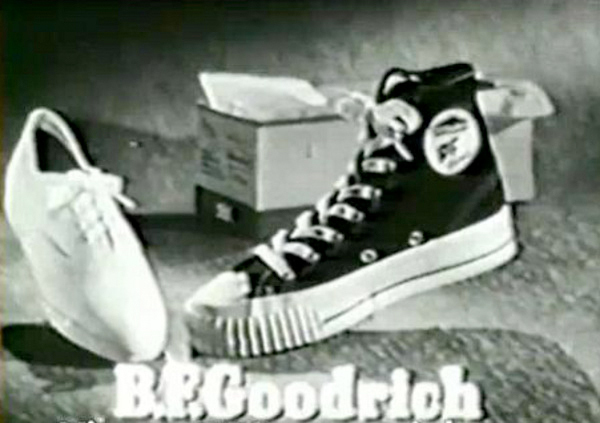 As televisions started to appear in the living rooms of consumers, PF Flyers were featured in commercial breaks of the action cartoon ”Jonny Quest”. 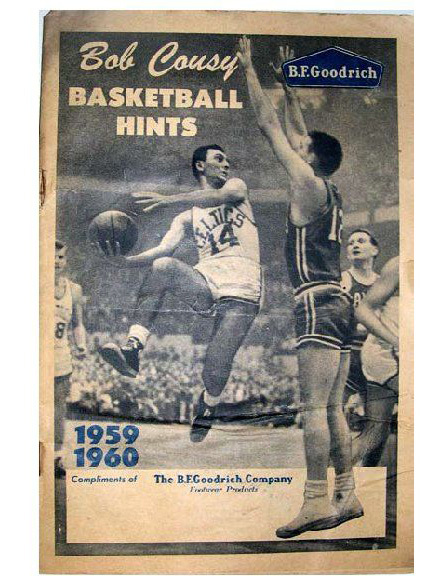 These early adds featured an enthusiastic announcer insisting that their “Magic Wedge” allowed you to “run your fastest and jump your highest” PF Flyers were also the shoes that Celtic great and NBA logo man, Bob Cousy wore. This was the dominate shoe of it’s time and it would be for almost 20 years. So much so, that when Converse bought the company in 1972 the US government filed an antitrust suit forcing the P. F. Flyers brand to be sold off. This shoe still enjoys a nice underground following and I myself have been known to sport replicas of them. In 1979, Nike’s Air technology was patented. Initially the technology appeared in running shoes, and in 1982 the Air Technology appeared in it’s first basketball shoe. 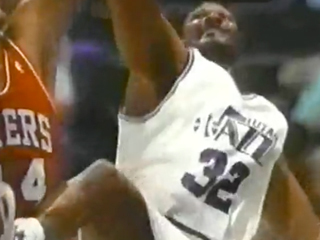 It was however three years later that the legend of “Air” took flight. In 1985 Nike released the Air Jordan 1. 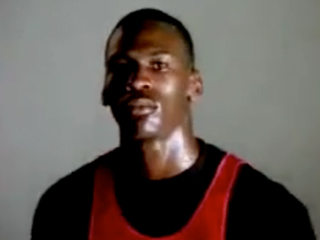 Although Nike would never actually state that their shoes could make you jump higher the early commercials did feature Michael Jordan taking off like a rocket with flames coming out the shoes. Air Technology (gas filled plastic membranes inserted into a shoe) was a true revolution in shoe technology, but what really made this shoe legendary were the scheduled flights of poetic athleticism displayed by Michael Jordan. We were never really sure if it was Jordan’s athleticism or his shoes, and it didn’t hurt that these kicks became increasingly celebrated off the court in popular culture. Initially “Banned by the NBA” these magic shoes were a runaway success that took Nike onward to new heights. To this day Nike dominates the sneaker world and is the wizard behind many modern day “Magic Shoes”. In 1989 Reebok introduced their own version of a “Magic Shoe”, with the Reebok Pump. At the time, Nike enjoyed complete technical dominance with their patented Air Technology. In response, Reebok started putting compressed air pockets in the tongue of the shoe. This was a “me too” and “on the bandwagon” approach to a technical, legal and marketing situation dominated by Nike. It enjoyed some early success and is an early example of consumer customization and personalization. 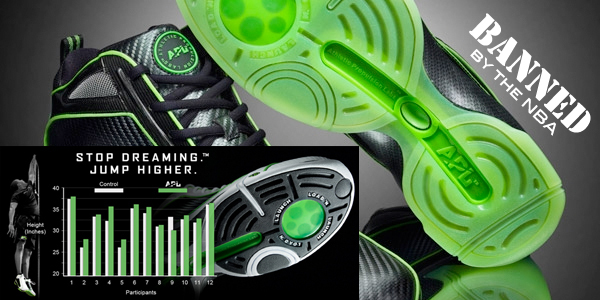 You could “pump up” to customize the fit of the shoe, and how many pumps… well… that was up to you. Personally I could never really understand how compressing your feet with air bags on the top of your foot would increase your jumping ability. From the start, the shoe was promoted by my childhood hero Dominique Wilkins, also known as “The Human Highlight Film” and a bit of theatrical showmanship was displayed when then relatively unknown Celtics guard Dee Brown highlighted “The Pump” on his way to winning the NBA Slam Dunk Contest. The shoes enjoyed a cult status on the playground but became a bit of joke with those in the know. Later in the 1990′s, a new company called L.A. Gear created “The Catapult”. This shoe was a hybrid response to the Air Jordan and Reebok Pump. It offered a new option to the market while capitalizing on the jumping images of the Air Jordan and the gadget appeal of The Pump. 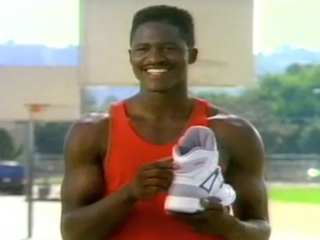 This shoe had an actual mechanism or “machine” built into the heel and was endorsed by Karl “The Mailman” Malone. The “The Machine” was made of fiberglass and graphite, and would spring back up after impact. Further, it would actually light up when operating! Check out their commercial’s slow-motion flex shots and computer-animated graphics. Effectiveness of the shoe was initially mixed… and then overwhelmingly negative. They just didn’t work. The gimmick of “The Machine” did help the LA Gear brand to briefly peak at 3rd place in the highly competitive world of sports shoes. These days this shoe is a highly sought after collectors item and finding a working example is practically impossible. But common sense took over and thanks to this article by Jack Woodrup from VerticalJumping.com I wasn’t seduced by a sirens of shoe mythology. Mr. Woodrup has done a complete test and the results can be best in summarized with his own words. “The reason that these shoes won’t change your jumping ability is that they don’t significantly improve your ability to transfer force to the ground, and if you can’t do that you will not be able to jump higher. End of story.” Check out the test on with this link and you might also want to check out some of his other reviews. Excellent work Mr Woodrup! And some real live court tests vs the Kobe Zoom. 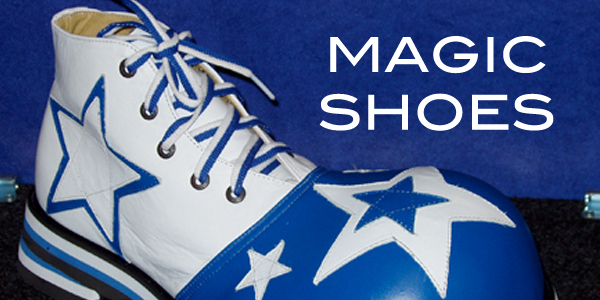 And that’s where the story of APL and their claim to being “Magic Shoes” ends for me. It was nice to dream that a young company could come up with some sort of fantastic new shoe technology and this would rescue me from vertical weakness. The shoe with science fiction appeal turns out to be just another modern media myth. No more dreams of flying magic shoes for me and it’s back to steady reality of hard workouts. The core training sessions that I’ve been putting in are paying off, and I’m feeling stronger and stable. Next step, a big game dunk and that’s no myth. There is no substitution for hard work in the gym! The APL myth started to stink when they ONLY sold them on the internet. It’s actually a cool and useful piece of info. I am glad that you shared this helpful information with us.